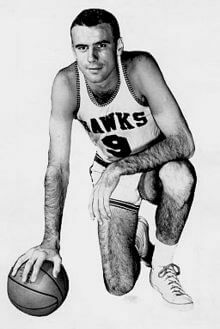 The Hawks finally got a superstar in Bob Pettit who was drafted out of Louisiana State. In his first season Pettit would earn Rookie of the Year honors while finishing fourth in scoring a 20.4 ppg. However it would not be enough to lift the Hawks out of last place as they posted a record of 26-46. Following the season Owner Ben Kerner announced he was moving the team to St. Louis, after four last place seasons in Milwaukee.